:-) I like watching movies very much. I like listening to music. I like traveling and I have already visited many countries. I'd love to see even more. I like spending time indoors as much as I adore being outdoors ;-) When the weather is bad I stay at home and cook :-) I adore cooking! I'm not here to play games or look for a pen-pal. I'm here to find my future husband and devote my life to our family. If the weather is fine I like going for a walk. Some people think I am 18 when they meet me. I read and reread so many books and I always need more. :-) I like watching movies very much. I like listening to music. I hope it will not stop you from writing me and I hope you will see my seriousness through my young look ;-) I'm serious and trustworthy. I like reading very much. I read and reread so many books and I always need more. :-) I like watching movies very much. I like listening to music. Vika is a very kind lady. She's very smart and amiable at the same time. 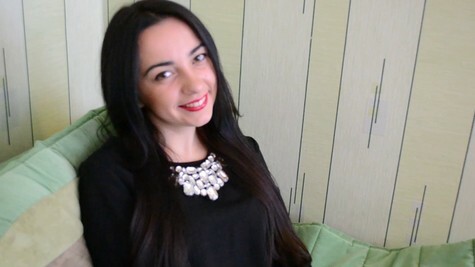 Hi there :-) I'm Vika and I'm here to find my other half and to create serious relationships with him. All people say that I look like a teenager. All people say that I look like a teenager. Some people think I am 18 when they meet me. First of all I should say that I like cooking very much :-) I wait for the time when I can please my other half with delicious breakfasts. I need someone who likes having a stack of pancakes or some eggs with bacon for breakfast :-) In general I don't think that domestic abilities are boring. If you don't like washing the dishes, cleaning the dust or do vacuum cleaning then I'm the type of lady you look for because I love doing those things ;-) But I should say that I'm not very good at repairing devices. So I hope my other half will help me with that one day. At the moment I have a very good career but I don't want to be a business woman. I'm glad with what I do but this is not the main goal in my life. The main goal for me is to get married with a man I love and create a loving family with him. I think every woman should take care of her man first and every man should do the same ;-) I don't mind changing many jobs during my life but I don't want to get married and then get divorced. That's why I'm very serious when it comes to choosing my life-partner. I'm not here to play games or look for a pen-pal. I'm here to find my future husband and devote my life to our family.